TrikeGo is a cargo bike, a tricycle produced and assembled entirely in Italy, built with quality materials on which high class mechanisms and accessories are mounted.The whole process of production is made up by local artisans: drawing, chassis welding, painting, mechanics assembly and technical supervision are handled in every detail to guarantee its durability and longevity. 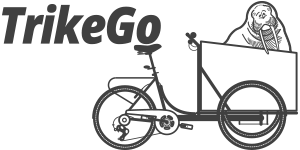 TrikeGo is assembled at our workshops (we are not importers / traders), where every TrikeGo is controlled in detail, from birth to final road test. 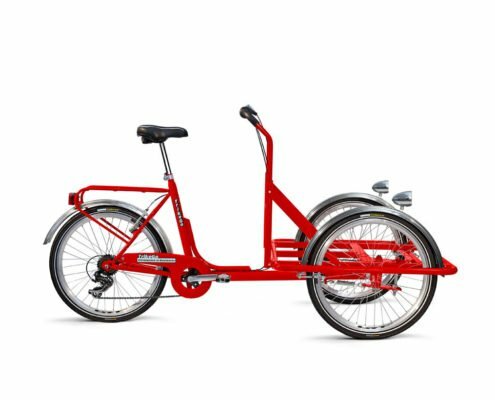 The TrikeGo cargo bike is suitable for any customization. From street food to carry / children / people / animals, it offers a simple and sturdy basis on which to build your projects and imagine your sustainable mobility. 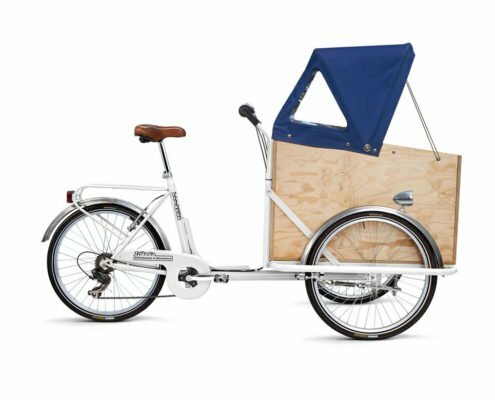 Its structure allows you to buy the TrikeGo cargo bike even without box if you prefer to make it yourself or make it by a carpenter of your trust. It is possible to paint the frame almost of any color, including a combination of colors between the parts (front frame, rear frame, handlebar, side bands). Structural simplicity allows easy and economical maintenance. The box can be realized both in wood (plywood fir or pine or birch) than in inorganic materials (aluminum, Dibond, Dilite), depending on the user’s needs and taste. The decision to produce a cargo bike with front box is due to the fact that this solution allows you to always have goods and passengers under control. The box can be customized with graphics and logos according to customer requirements. 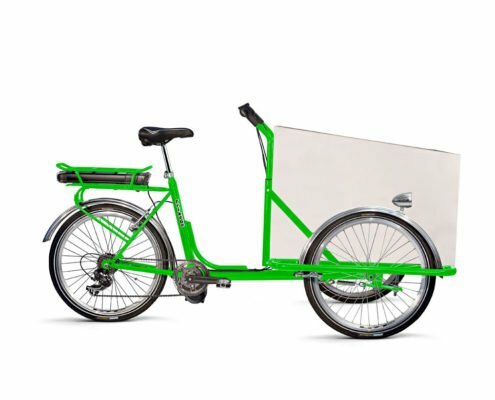 The TrikeGo cargo bike can be equipped with a 250Watt electric motor (according to European regulations) in the bottom bracket, making it suitable even for the most demanding tasks and intensive use (street-food / pedal-carriers) or for climbing to full load. TrikeGo means quality, even when choosing the engine. We have definitively adopted the Cyclotek’s “XFC Pro” engine – positioned in the bottom bracket (pedals), small and quiet – with 10.4 Ah / 36V battery – with torque system, which makes it ideal for energy efficiency and savings . One of the best products on the European market for value for money. The engine has a 80 km autonomy (tour mode) with a digital pad and a handlebar control to start it and increase or decrease the level of assistance. Charging is done via household socket (220V). The ion-lithium battery also allows partial charge. The total charging occurs in only 5 hours.